So in the first part we talked about the beginning of the fidget spinner and how it all started. Time to understand why did it happen, what had happened before and how did it end. The word of mouth, this time mainly in the form of YouTube, Reddit and Instagram videos that were uploaded and distributed by kids and opinion leaders, caught like fire and created a fast diffusion and adoption. Since the Fidget spinners were a plaything that children discovered and shared on social media in this case the demand came solely from word of mouth. No manufacturer or store or any marketing and PR efforts had anything to do with it. 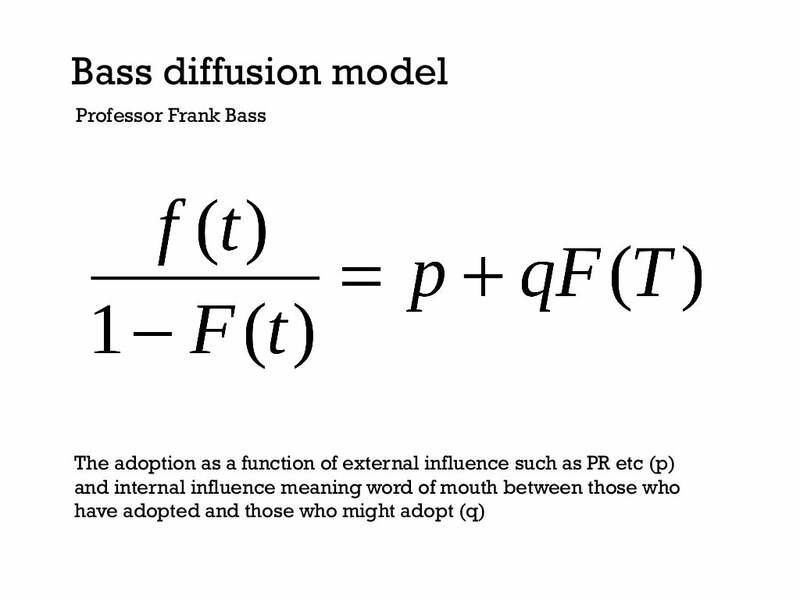 This is a splendid example of the bass diffusion model and of the crucial role of word of mouth. A new product can do great with only the Q (= internal influence meaning word of mouth) and no P (= external influences like PR) whatsoever. Other stress release toys that were out there before the spinner (like the stress balls and the fidget cube) didn’t get this amount of word of mouth and therefore stayed behind. By the end of June, the number of spinners that were sold in the 12 rich-world countries was estimated somewhere between 20 to more than 200 million. The sudden out of nowhere demand for Spinners and the fact that no person or firm had a patent on it and that there were no licensing fees required, pushed the toy retailers and manufacturers to rapidly produce and get Spinners. Big Chinese factories, often such that manufactured smartphone accessories, started producing spinners in huge quantities, but many others started producing smaller amount using 3-D printing. The absence of an exclusive manufacturer or a patent holder not only enabled everybody to produce but it also enabled everybody to buy and sell since there were no exclusive distribution agreements and no high brand licensing costs. That has been a blast for entrepreneurs like Ryan Weaver, Allan Maman and Cooper Weiss but also for all the small shops, which had been able to adjust fast and stock the unbranded goods from wherever they could lay their hand on them. Let’s take Zing for example, a toy manufacturer from Hong Kong. 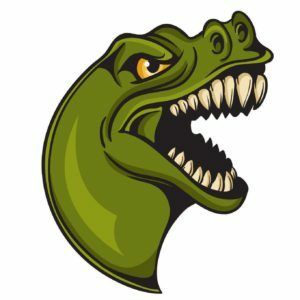 Zing saw the potential in real time, reacted fast and shipped millions of units in no time, some of it to toysRUs and Walmart. “The biggest toy I’ve seen in at least 10 years, and it’s been a total free-for-all. It’s not a big-bucks driven, premeditated thing. It blew up the opposite way… The big giants [Hasbro and Mattel] typically take up 90 to 95 per cent of the business and everyone else is left scrapping. This has flipped the script…it’s about how quickly you can react.” said Josh Loerzel, VP of sales and marketing for Zing to FT.com. The fidget spinner is not the first toy to reach the short head in a boom. A simple plastic hoop did it 60 years ago. 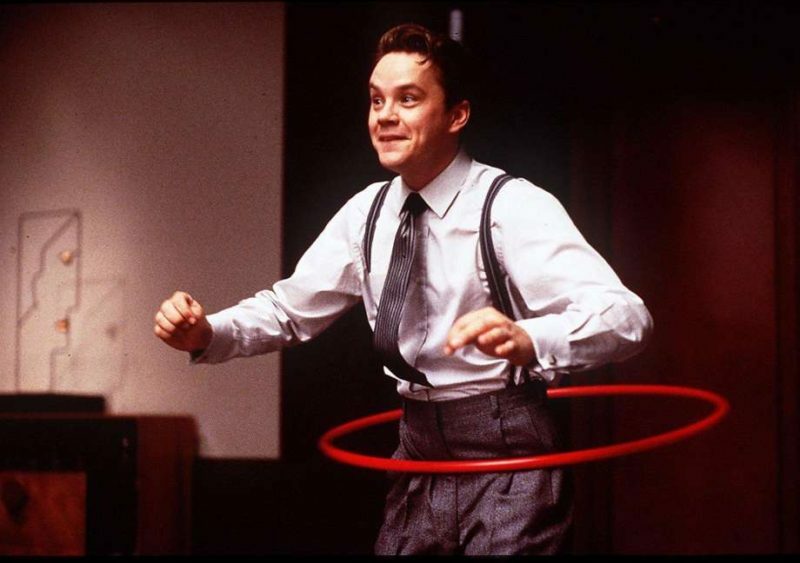 25 million units of the Hula Hoop were sold in four months. In two years the number increased to 100 million. It’s a bit longer than it took the Spinners to reach these numbers but considering that we are talking about the sixties when there was no Internet and international trading was much more difficult, it’s a short head miracle. Although they didn’t have internet back then and there were no YouTubers to spread the word, they still had kids as their target audience and kids were still talking and communicating – They did it at school, on the street, in the playground. In fact, because they didn’t have Internet, YouTube or Xbox machines, kids back then spent much more time playing and meeting with other kids outside. Wham-O, the toy company that invented and produced the modern Hula Hoop, understood the importance of word of mouth and gave away free Hula hoops to start the buzz and it worked. The Hula Hoops became a signature example of a viral fad that spread through a population. The same happened with the Rubik’s cube in 1981 and the Tamagotchi in the late 90s, both very popular games that sold themselves through word of mouth. What changed between then and now is the internet, social media, and smartphone with cameras. This is what caused the spinners to catch on the fastest. Kids today don’t need to see their friend or neighbor spin in order for the word of mouth effect to happen. They can see a complete stranger do it on YouTube or Instagram, amplifying the effect. The spinners case is an extreme example of the short head economy. In the last several years, since the appearance of social media, we are facing a change in the demand curve. The hits, AKA the blockbusters, on the left side of the demand curve are getting fewer and higher and the long tail on the right side of the curve—the big promise of the internet— is still long but most of it is so close to zero that it is embarrassing. The Pareto 20/80 principle, a symbol for the unfair distribution of anything, is something that we now look back at with Lust. In the “short head” era it is more like a 90/10 or in some cases a 99/1 principle. We would give anything to get back to the just world of the 20/80. 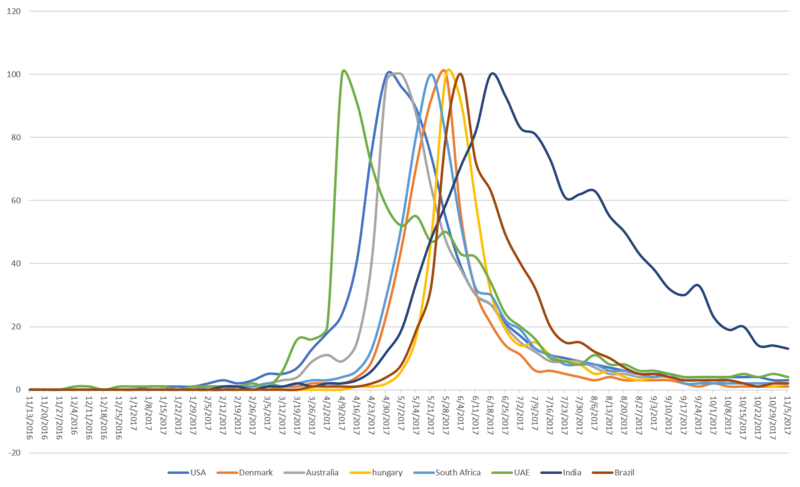 Here is an interesting chart of the search trends of fidget spinner in various locations demonstrating the fast global diffusion which is a direct result of the Internet and Social media. 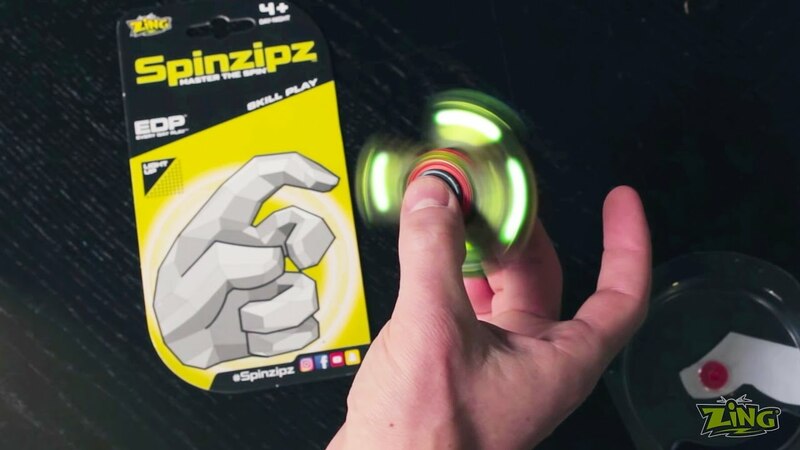 On May 4 2017, one day before the Spinners officially reached their peak, Catherine Hettinger, who by then became known and famous for being the inventor of the fidget spinner, launched a Kickstarter campaign, trying to raise enough money to help her manufacture the original spinning toy. On June 18, after getting less than 1,000 orders and not reaching her funding goal, the project was abandoned. As for the Spinners, as said they reached their peak on May 5th. From there it was a Slippery slope all the way down to the museum of toys. In the fidget spinner case, the short head winners were the product itself and quite a large group of Chinese manufacturers, fast retailers and online sellers. Catherine Hettinger, just like most of us, will remain a bystander.